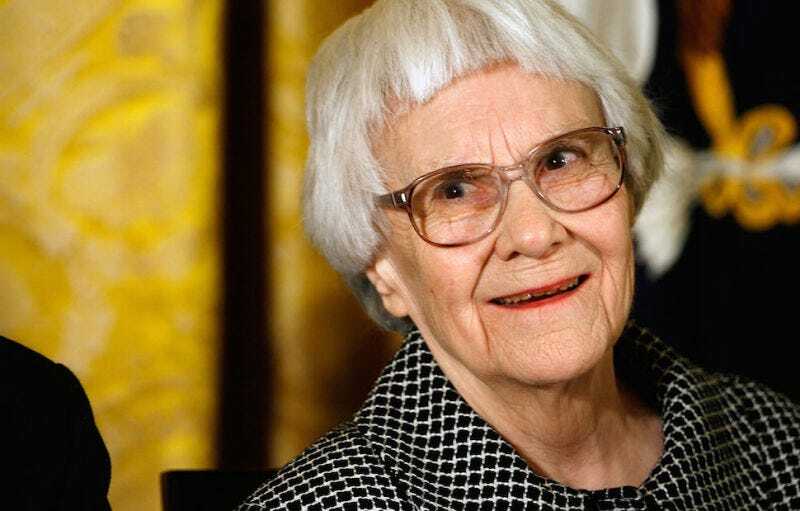 Charles J. Shields, author of 2006's Mockingbird: A Portrait of Harper Lee, believes that he’s uncovered a previously unknown article by the famously reclusive author, who passed away earlier this year. Shields told The Guardian that archival evidence suggests that Harper Lee was the author of an uncredited article in a March 1960 issue of the Grapevine, a magazine for FBI agents and employees. The article recounts the infamous murders of four members of the Clutter family in Kansas. Those murders were, of course, later the subject of Truman Capote’s book In Cold Blood. That Lee accompanied Capote to Kansas to research the subject is well-known, but more contested is her role in Capote’s finished project. As The Guardian notes, Capote himself likely downplayed her involvement, describing her only as a “research assistant.” Shields’ discovery, however, will likely complicate that narrative. In the 1960 article, Lee writes of “the most extraordinary murder case in the history of the state,” and covers the detailed investigation of the murders, as well as the confessions by Richard Hickock and Perry Smith. Capote is also mentioned in the piece and, given the publication, Lee pays special attention to the work of former FBI agent Alvin A. Dewey. The story of the work of the FBI in general and KBI Agent Al Dewey in particular on the Clutter murders will appear in Grapevine, the FBI’s publication. Nelle Harper Lee, [a] young writer who came to Garden City with Truman Capote to gather material for a New Yorker magazine article on the Clutter case, wrote the piece. Miss Harper’s first novel is due for publication … this spring and advance reports say it is bound to be a success. The novel was—of course—To Kill a Mockingbird, and Hope’s column is a clear confirmation that Lee authored the Grapevine article. Given the discovery, the Grapevine announced that it will republish Lee’s article next month.